Like many people, you may have wondered what it takes to be *RICH* in every good thing — and I don't mean only money! What does the Bible says it takes to become wealthy? You may already have what you need, but may not be applying it correctly. 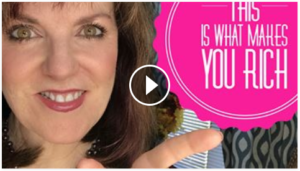 CLICK VIDEO LINK – Check it out and see what might be the missing factor — revealed!